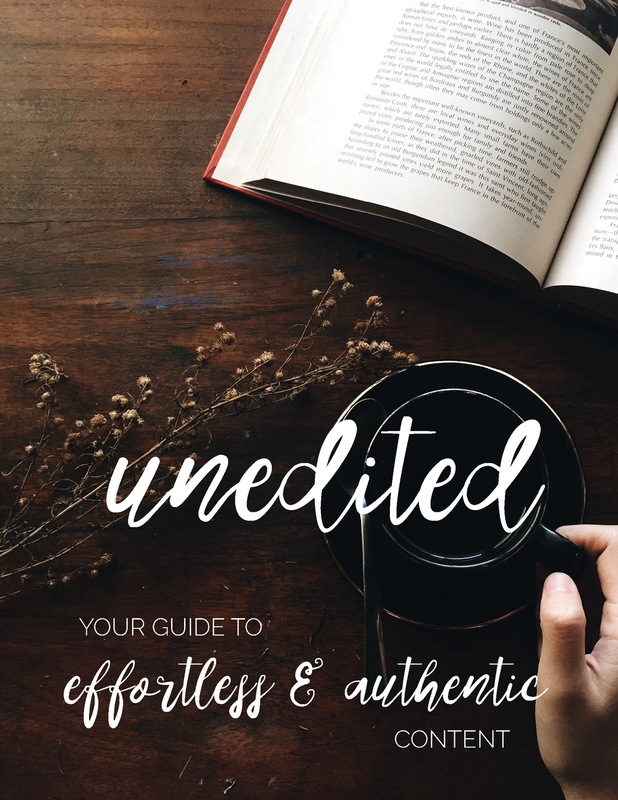 Unedited: Your Guide to Effortless & Authentic Content! To captivate your audience and convert them into raving fans, you have to stand out in a sea of sameness. The truth is that the marketplace is saturated with surface-level content. The email sequences that rely on the same old marketing language. The Facebook posts whose sales tactics leave you feeling sleazy and sticky. Afraid of stepping out, most entrepreneurs are happy offering the same vanilla verbiage, all the while wondering why they can’t book paying clients. To write truly valuable and noteworthy content, you have to leave behind the "should's" and one-size-fits-all sales tactics. You have to create from a different space, one that's steeped in authentic expression, integrity, and connection. You have to be able to cut fear off at the knees, to bid adieu to your perfectionism and fear of judgment, to ignore the whispers of shame that say that you and your writing and your work just aren’t good enough. In this guide, you’ll find 5 writing prompts designed to help you do just that. All so that you can stop playing small, attract your dreamiest clients, and share your work in the way that sounds and feels like YOU.